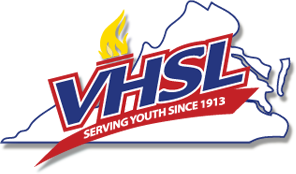 There’s not much more that can be written about the individual and relay swims that topped the podium this past weekend than what was reported by SwimSwam in their article “Standout Sophomores Anthony Grimm and Tori Huske Dazzle at VHSL Northern Region 6A Champs” Also, check out their list of interviews and races from the meet. In the boys meet, the championship came down to a difference of 2.5 points between the Champions from Oakton and runners-up James Madison. We couldn’t tell when the diving competition was held, as with Championship meets, the diving usually occurs a day earlier, so the running point totals below may be inaccurate if the diving occurred mid-meet…anyway with the swimming events, here’s how they fared throughout the meet. After the 200 IM, what is not shown is that Battlefield actually had the overall lead in the team standings with 92 points! James Madison took their first lead after the 500 free as Oakton’s Daniel Gyenis won the event, with James Madison’s Cole Dyson finishing 2nd and Brayden Philpott 9th, outscoring Oakton 25-20 in the event. In all, James Madison had 21 swimmers score in the top 16 to Oakton’s 20 and as you see below it was a see-saw battle throughout the meet! The girls meet was almost as close, with James Madison edging Yorktown 298-294.5. After the 500 free, Yorktown had a 20-point margin, which at Championship meets is somewhat comfortable. However with the win in the 200 Free Relay, the Madison girls began to climb back. In the next race with Anna Keating leading the way, the Madison girls outscored Yorktown 32-20 to take the lead! Overall Madison and Yorktown had 19 top 16 scores each, which accounts for the close score! we’re looking forward to seeing how the coaches mix up the lineups and look to maximize scoring opportunities at States. Your results are incorrect for ladies 6A Regional 1m Diving. Madison placed second, Yorktown placed eighth. thanks for the edit- fixed! Women’s regional diving results are inaccurate. Madison placed 2nd and Yorktown 8th in 1 meter diving.